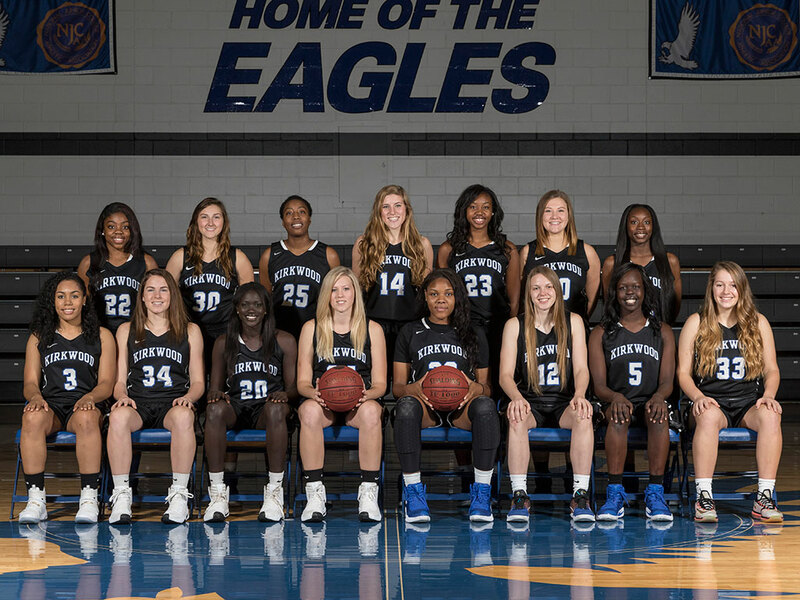 CEDAR RAPIDS, Iowa (November 3, 2016)-The seventh-ranked Kirkwood women’s basketball team opens the 2016-2017 season on the road this Friday at the State Fair Community College Tournament in Sedalia, Mo. The Eagles will take on the Rend Lake College Warriors beginning at 1 p.m.
Kirkwood Head Coach Kim Muhl has a very talented mix of freshmen and sophomores that are looking to improve upon a 27-win season and bring another championship back to Johnson Hall. Muhl, already in the NJCAA Hall of Fame, has six national titles under his belt. He knows how to win and what it takes to lead a team to a championship. The sophomores are a mix of returning Eagles as well as transfers from other programs. Guard Deleyah Harris and post Rylee Voss both return after getting significant experience last year. They are joined by Simone Goods, a transfer from Western Kentucky, and Shaneequah Watkins, who transferred from Odessa Community College in Texas. Awal Ajak, a guard out of Des Moines, leads the 11-member freshmen class and looks to get substantial playing time this year as an Eagle. Kirkwood starts the season with four games on the road before returning home to face Triton College on November 18 in Johnson Hall. Tipoff is scheduled for 7:30 p.m.